Accuthera aims to use its knowledge and experience in cutting-edge accelerator development, cancer radiation therapy and non-destructive examination to become an international company that contributes to the development of society together with its local and foreign partners. 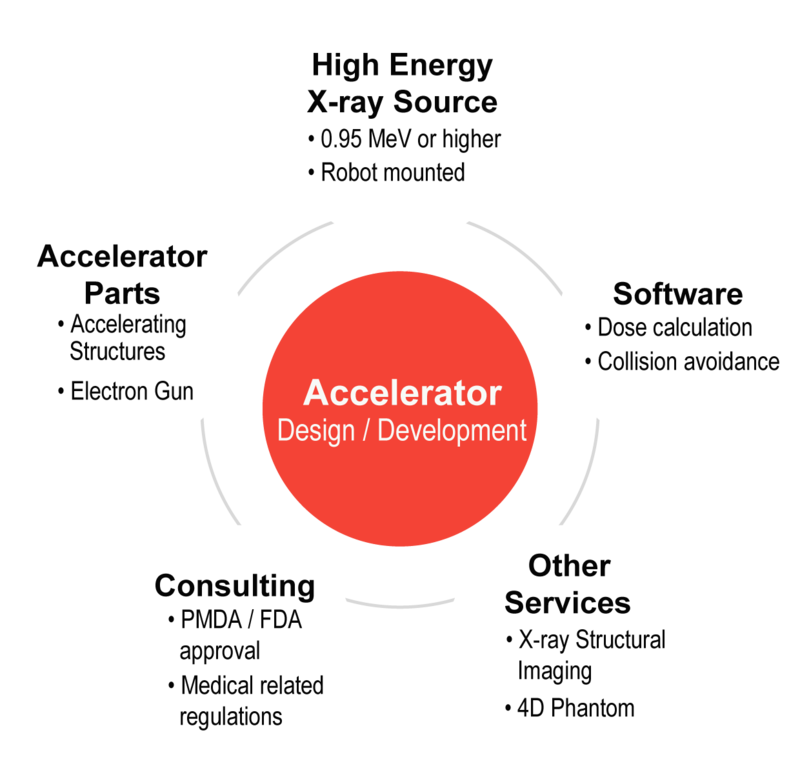 Accelerator design and development based on high energy X-ray source. Software development, parts fabrication related to accelerators, X ray photography services and consulting services. Extensive experience and knowledge on accelerator and high energy X-ray devices. Local and international industry-university network and human resources. Worldwide technical strength and experience in accelerator, microwave and system development for device controller.